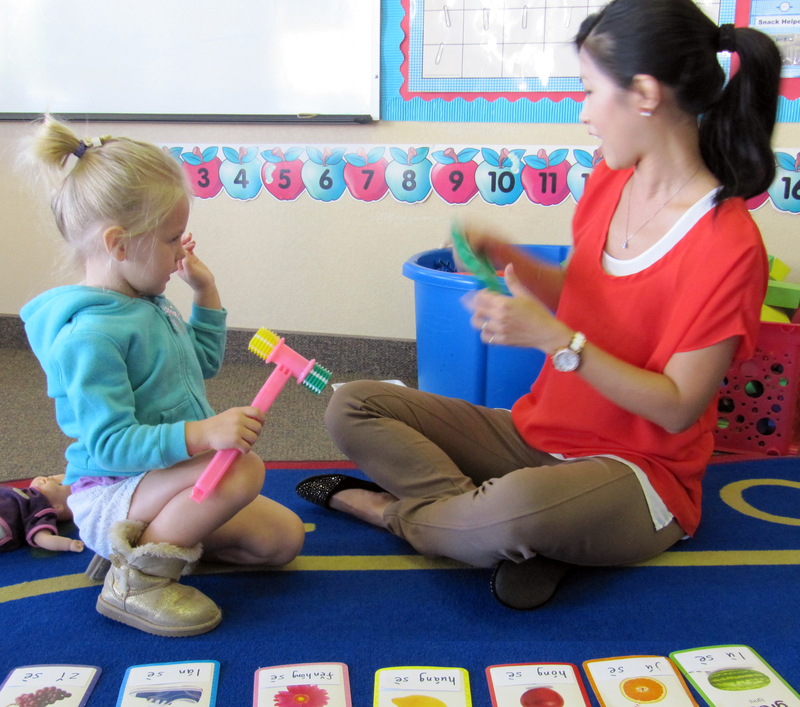 Our teachers are all proficient at teaching preschool age children. With their ability to use body language, hand gestures, facial expressions, role play and leading by example, our teachers are able to convey a second language to children effectively and effortlessly. Their ability to express various emotional messages vocally and visually allows the children to understand what they are saying. For our after school program, the teachers easily transition children into the reading and writing aspect of their target world language, while further enhancing their development of higher vocabulary. Each teacher has a passion for bilingualism and a love for the children that they teach!